“Until July, Burundian media made progress in respect of the press law and professional principles,” said Nestor Bankumukunzi, chairman of Burundi media regulator (CNC) in a press briefing on 25 July. He says some media committed fewer mistakes compared to previous months. He encourages them to keep moving forwards. “For example, Radio Isanganiro made fewer mistakes than in previous years,” says Bankumukunzi adding that the press freedom begins with the respect of the law. He congratulates some media which had failed in their mission by violating their professional ethics but decided to correct their faults. He refers to radio Rema FM whose officials decided to permanently suspend a show that had violated the Burundian morals before CNC ordered them to do it. Bankumukunzi urges all media officials to be more vigilant and avoid mistakes. “Otherwise, appropriate measures will be taken,” he warns. He says he regrets that some media have unfortunately persisted in publishing inaccurate and unbalanced information whose sources are not verified “despite warnings they received”. 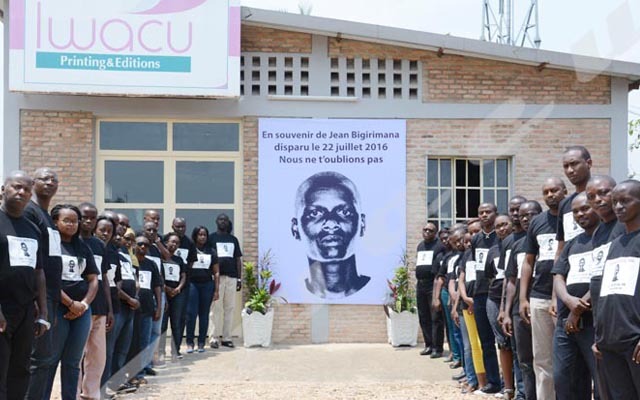 On July 6, Bankumukuzi had warned the local Iwacu newspaper and the French channel RFI accusing them of committing serious mistakes in processing information about the constitutional amendment in June. CNC chairman calls on administrative authorities to often talk to journalists. They serve the interests of the nation, according to Bankumukunzi.